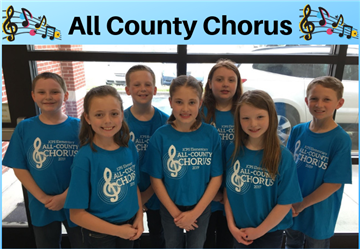 These 5th graders excellently represented Princeton Elementary at the All County Elementary Chorus program on Saturday at Selma Elementary. 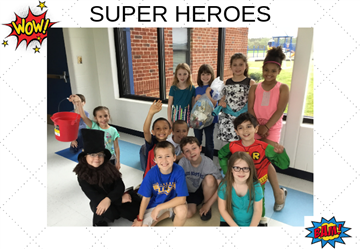 This week our students have been showing ways to help others and become Super Heroes. A 2nd grade class helped to clean up our school grounds. We are proud of our school and campus. Way to go Bulldogs! Congratulations to our Student Athletes who competed today at SSS. They worked hard and proudly represented their school. Way to go Bulldogs! Lots of giggles, smiles and excitement filled the air outside of PES on April 11th. 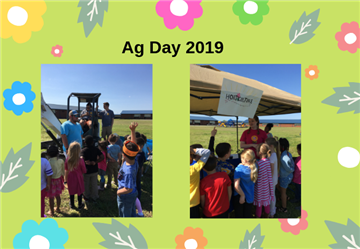 Ag Day brought tractors, animals and lots of advice on how to grow fruits and vegetables. 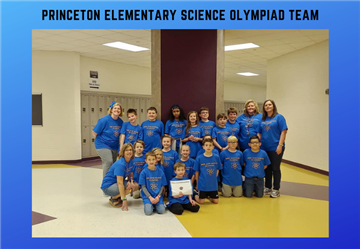 We are so proud of our Science Olympiad team. They earned medals in a variety of events. This is our first ever team. 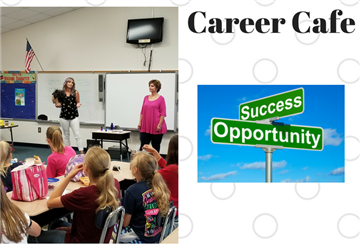 Thank you to Jan Bullock, Andrea Cole, Kim Langley and Roxanne Wells for working weekly with these students to prepare for competition. 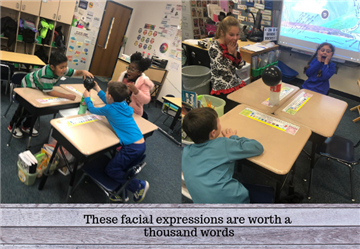 We had special guests from various backgrounds in our 2nd grade on Thursday, April 4. 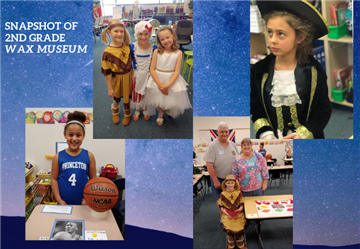 Students dressed up as their favorite person and gave a speech to parents and students from our school. 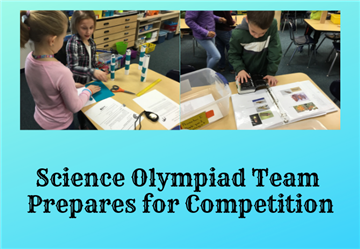 The excitement is building as our Science Olympiad team prepares for our April 6th competition at Corinth Holders High School. Students will be competing in 19 events from Bottle Rockets and Pasta Towers to Backyard Biologists. 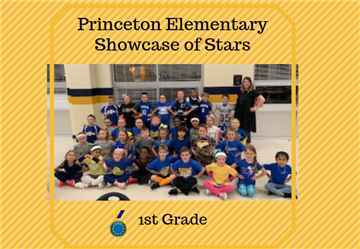 Congratulations to our 1st Grade Students who participated in the Showcase of Stars. Mrs. Price did a great job working with these students who represented our school so well. 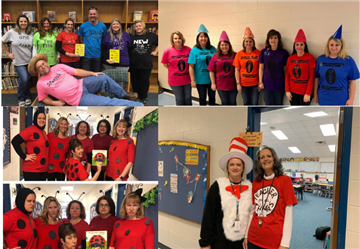 Even the teachers got in on celebrating "Read Across America" week by dressing as their favorite book characters. As we end the week, we want to send a special "Thank You" to all of our readers this week. 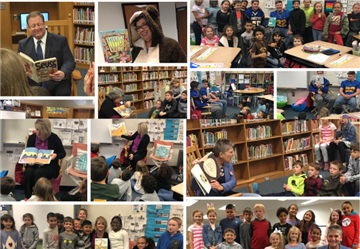 It was such a joy to see the excitement on the students faces as people from all over took time to come by and read to our kids. 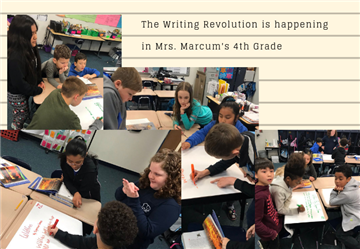 4th Grade Lead Learners in Mrs. Marcum's Class are exploring "The Writing Revolution"
The students are learning about The Writing Revolution from a Grant Mrs. Marcum received earlier this year. 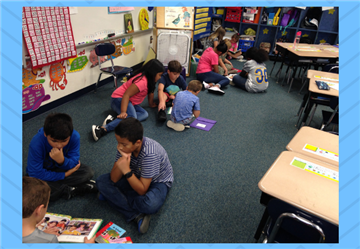 These students are leading the way in applying new writing strategies. We can't wait to see what they learn this year! Thank you to Mrs. Harrington and Ms. Hickey for helping the Battle of the Books team this year. They placed 5th in the competition overall. We are super proud of these students! 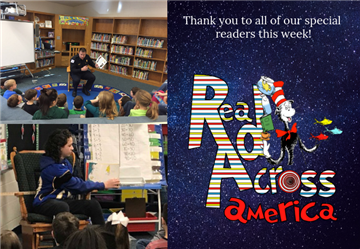 It has been a week of special guest readers. The PHS football team made a special visit on Tuesday and Mr. Holland stopped by to read a story to some students. 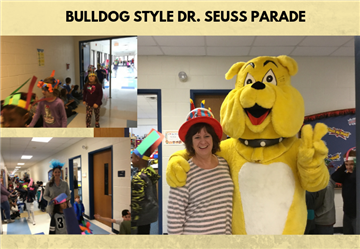 Students and staff at Princeton Elementary had a blast today as the K-1 students and teachers showed off their crafty hats as they were escorted by the Bulldog and our Grand Marshall, Mrs. Beverly Parker. 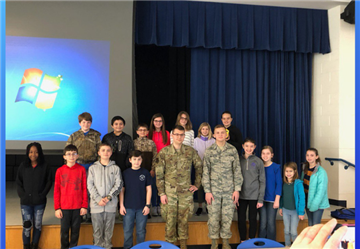 Airmen from Seymour Johnson visited 5th graders to share information about weather and real world applications. Thank you to the Airmen that shared their science expertise with students. 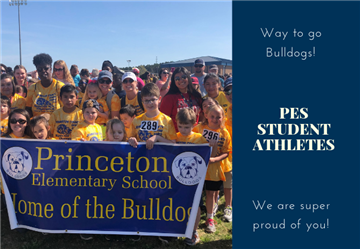 The staff and students at Princeton Elementary want to send out a big "Thank You" to the PTA for all of the hard work and dedication to our school. We couldn't do this without you! What a great night of excitement and entertainment. We want to thank all of our sponsors and community for making this a great event. The laughter and smiles were contagious throughout the night. 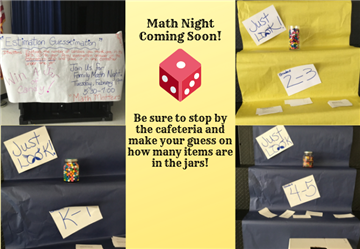 Make sure you visit our cafeteria all PES students and take a guess at the jars for your grade level before Math Night. It is going to be an exciting time! Make plans to attend on February 19th, 5:30-6:30. 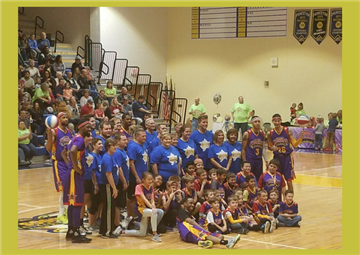 The Harlem Wizards stopped by PES on Friday to get the kids ready for some Friday night action at the Deacon Jones Gym. Be sure to come out and support our school. Science can be so much fun! Obviously, these students think so too. They are enjoying learning all about states of matter by watching the reaction of the balloon in this cool experiment. 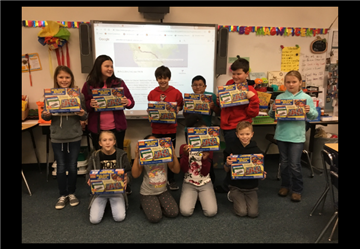 The students in Mrs. Hooks 5th Grade class were super excited to use the grant materials provided by Wake Electric Cooperative. 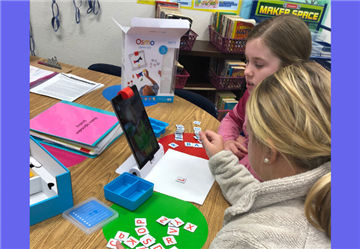 Some of the items received were flexible seating, a Maker Space project cart and an Osmo Genius Kit. The title of her grant was "Imagination Stations-Using STEAM to Enhance Reading". What a night to be at PHS! 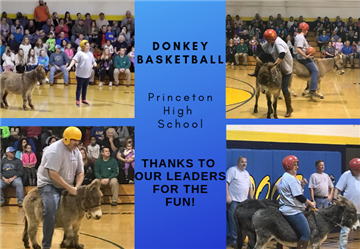 Donkey Basketball at its best. A fun filled night with principals and teachers from PES and PHS working to tame those donkeys with no luck. Thanks for all who participated. It was like Christmas in January for the students in the STEAM Lab. 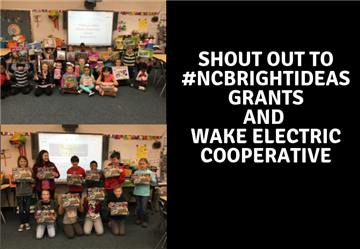 Thank you to NC Bright Idea and Wake Electric Cooperative for helping to fund our classroom with supplies. Thanks to several members of the community for helping Mrs. Bullock's STEAM Lab get funded on Donor's Choose. These donations make it possible for classrooms to get materials. Donors include local board members, parents, grandparents and former teachers. 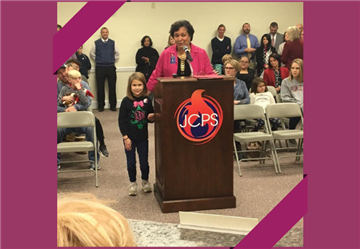 Ava Faulk, a 5th grade student at PES, represented our school at the JCPS Board Meeting. This week we are learning about Computer Science in the STEAM lab! Students are coding Dance Parties and having a blast. What can you build from a box? That is the challenge for our STEAM class for our Winter months. Take a look at this cool drive thru McDonald's. We would love to see more creations! 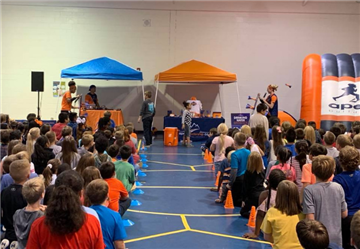 Students and teachers were encouraged and inspired by the Apex Fun Run Team. They spent two weeks in our school teaching students about good character and how to become leaders. PES sends out a big thank you to the team for the difference they made in all of our students lives. 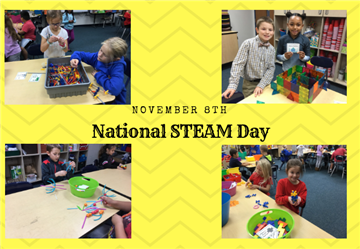 In honor of National STEAM Day, we are building magnificent things today using our Maker Space tubs and cards. What magnificent thing can you make? 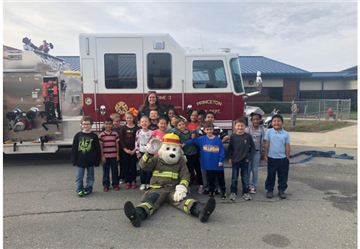 What a special treat on Thursday, November 8th as Sparky visited our school along with the fire departments from our local communities. Mrs. Rogerson's 2nd grade class caught a quick snapshot with Sparky. Let the fun begin! 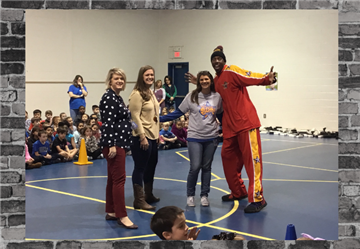 The Apex Team arrived at Princeton Elementary on Tuesday and held an energetic Pep Rally with K-5 students. They are teaching our students to be strong leaders and learn to be selfless. We look forward to what is to come! Mrs. Fields, a 3rd Grade teacher, is representing Princeton Elementary as the Superstar teacher this semester. Mrs. Fields has a passion for others and works hard to provide community support throughout the school year. Congratulations to Mrs. Fields! 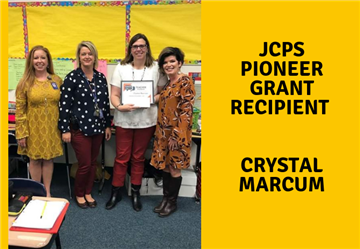 Congratulations to one of Princeton Elementary's 4th Grade Teachers for receiving the JCPS Pioneer Grant. Mrs. Marcum plans to use the grant to revolutionize writing at PES. 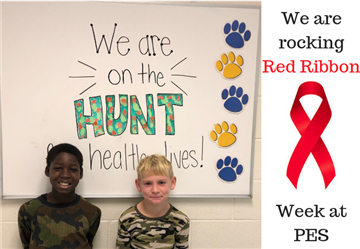 Red Ribbon Week is in full swing at PES. 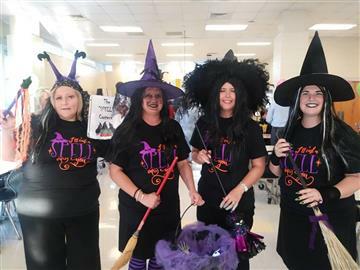 Students are participating in "Saying BOO to Drugs" each day by wearing specified clothing. William Green is now a full time motivational speaker. 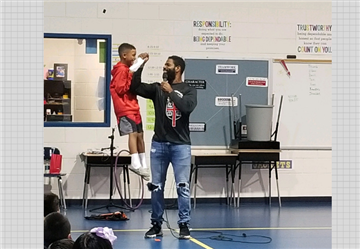 His message to students is to never give up and be a "Champion"! 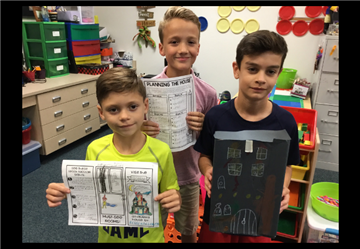 4th grade students have been designing and building haunted houses out of cereal boxes and other creative materials. 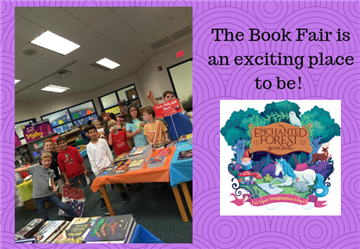 The Book Fair is a Wonderful Place to Be! The students have really enjoyed visiting the Book Fair. It is a magical place where you can find all kinds of cool items. Thanks to all who have supported our Book Fair. 1st Grade Teachers Collaborate with 5th Grade Teachers to Create "Reading Buddies"
5th grade students worked with 1st graders as their "Reading Buddies". The older students get to be role models for the first graders as well as foster leadership skills. This is a great way for the younger students to get to read with big kids and form positive relationships. 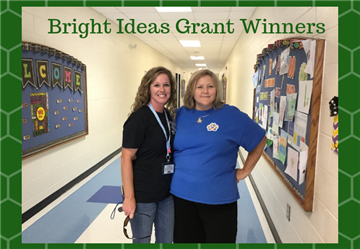 Leigh Hooks and Jan Bullock were awarded a Bright Ideas Grant on Wednesday. They will be using the grants to fund STEAM literacy and activities and to add more choices in the STEAM lab. 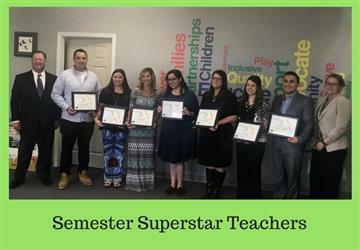 Congratulations to these two teachers. What an honor for Ms. Hill. She works with such compassion driving our students safely to school and home each day. 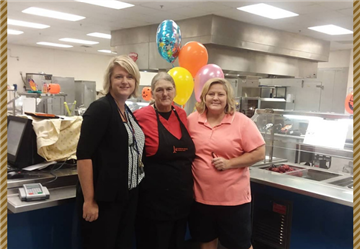 She also works to provide hot meals for our students at school. This is such a well deserved honor. What a night of fun and fellowship as the PES Spell Casters spelled their way into round 3. The atmosphere is always so energized as teams across the county compete for the title of Best Spellers! 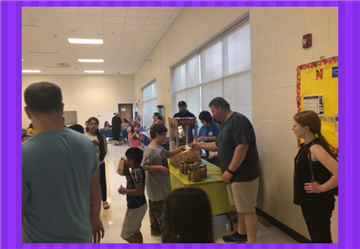 Princeton Elementary School halls were filled with giggles and excitement on Thursday night as parents and students attended the September Open House and PTA meeting. Students were challenged with a scavenger hunt then ended their hunt with special treats. Maybelle paid a special visit to our school this morning to remind students about our magnificent Family Open House and PTA Night. As we view the latest reports of the storm damage of Hurricane Florence, we are reminded to be kind to others always. Our Butterfly Rock Garden has some pretty awesome reminders created by teachers. 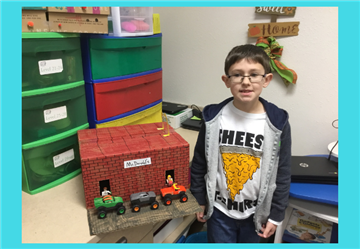 Students in First and Second grade created a "Perch" for a special friend to sit on in their rooms this week. Harry, a visitor from STEAM class, enjoyed a great story in Ms. Flemer's class with the students. This was an activity that allows the students to interact between their classroom and STEAM class. Our STEAM lab is up and running! It is going to be a great year! 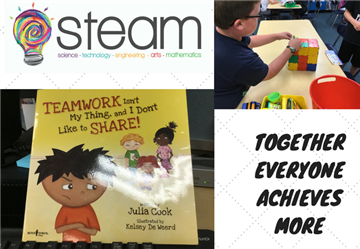 Making magnificent things in our lab and learning to work as a team! Together Everyone Achieves More! We had a special visitor today as our students started off another great year. 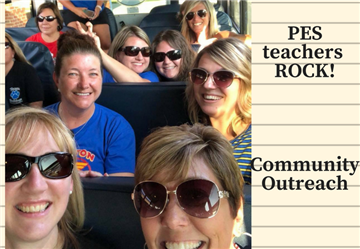 As a way to let students know that the teachers at PES are ready for them to return, they loaded up the bus and went to their neighborhoods. Schools from across the county joined at North Johnston High School to work on School Improvement Plans. This is a time to reflect on how we can make our school and community even better. Teachers have been involved in many roles this summer! 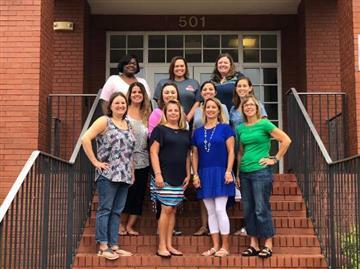 This group of awesome teachers, including several from PES, worked over the summer on a special project to make an impact on student learning. 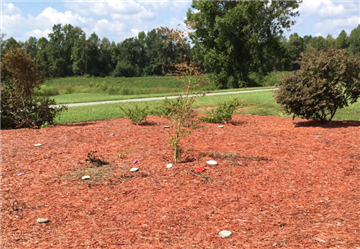 Teachers at Princeton Elementary School painted "Rocks of Kindness" to add to the school's Butterfly Garden. Hopefully, our kindness rocks will make an impact on everyone who visits. Mrs. Price, our music teacher, proudly displays her creation. The last visit was Dr. Jason Nackley who is a Chiropractor. 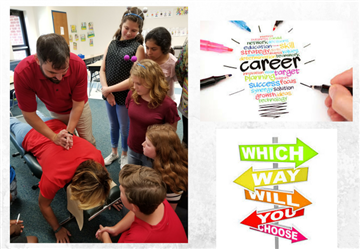 Dr. Nackley demonstrates some of his chiropractic adjustments on a special volunteer, Mrs. Bridgers, our 5th grade science teacher. A special thanks to all of the businesses and volunteers who made our 5th Grade Career Cafe a success! 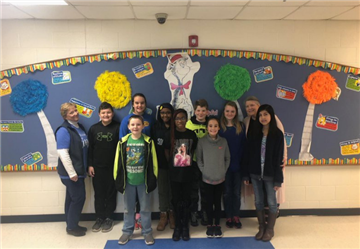 Bridget Johnson, hairstylist and cosmetology instructor and Cyndi Joyner, nail technician, visited 5th grade students. Bridget tied tinsel into a volunteers hair. Cyndi demonstrated how to make acrylic nails and let the students try. Brian Peele, finance director at Pfizer pharmaceuticals, shares information with students about quality control by sorting water bottles with various defects. Also, Tracy McKinley, IT Manager at KS Bank, brought different types of technology used to store information and how to keep it secure. 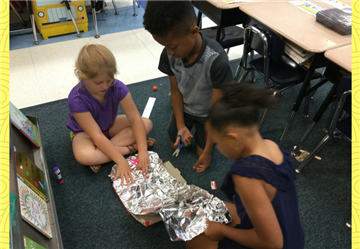 Students in Mrs. Bullock's 1st grade created solar ovens using cereal boxes, aluminum foil and imagination! 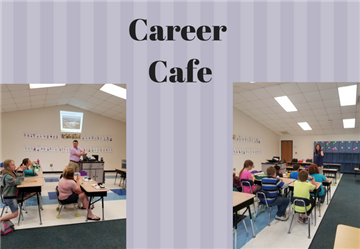 Career Cafe begins at PES for our 5th grade students during Guidance classes. 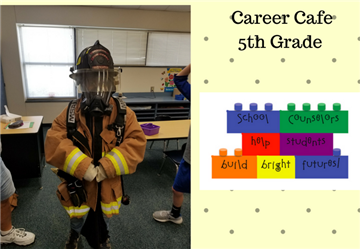 Mrs. Sarah Nackley, our School Counselor, is offering a new and exciting opportunity for students in 5th grade. Teddy Edmunds, a Brogden Volunteer Firefighter, came today to share his career with students. We appreciate our bus drivers and teacher assistants. They are such an important part of our school. Thank you ladies for all you do! Monday was a very special day at Princeton Elementary School. 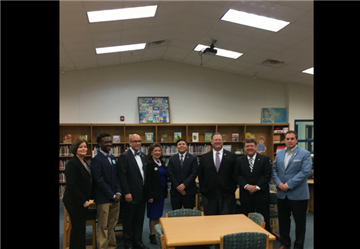 We received a visit from the State Superintendent, Mark Johnson, as well as JCPS Superintendent Dr. Ross Renfrow, Board Member Todd Sutton and Representatives Donna White, John Bell and Larry Strickland. 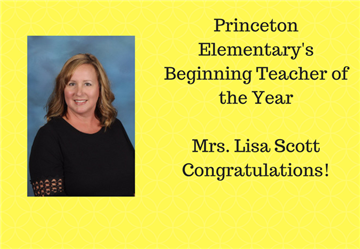 Congratulations to Mrs. Lisa Scott on being chosen as our Beginning Teacher of the Year. She will be honored Thursday at a Beginning Teacher reception. 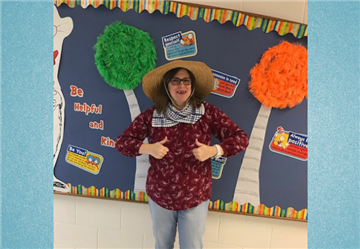 She is a very important part of our staff at Princeton Elementary School. Mr. Bullock, the Environmental Science Teacher at CTLA, led his students in creating Water Conservation booklets. 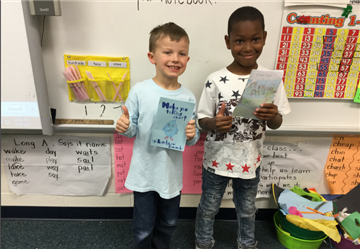 These students donated the books to Mrs. Bullock's 1st Grade classroom. Dr. Renfrow and members of the JCPS Cabinet helped to serve lunch to our students on Wednesday, March 28th. Congratulations to Mrs. Narron, the School Psychologist of the Year! 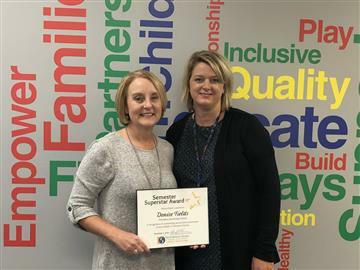 Mrs. Holly Narron was selected along with several others to represent Johnston County Public Schools for Employees of the Year. We appreciate all she does at Princeton Elementary to help our school. Thank you and Congratulations Mrs. Narron. Our 3rd Grade reading friends had a special visitor today. 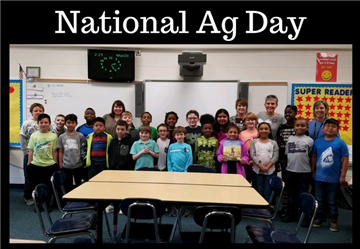 Guest reader , Mickey Martin, from the Johnston County Farm Bureau Women’s Committee shared “John Deere, That’s Who!” with us. 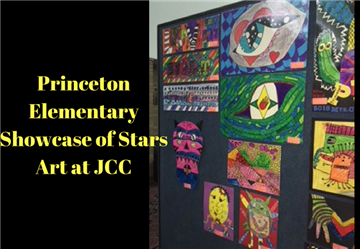 Mrs. Kelly Crocker, our Art Teacher, displayed some of Princeton Elementary's 2018 Showcase Of Stars Artwork at Johnston Community College. 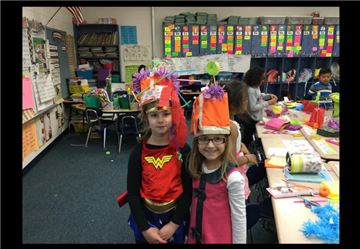 These kids had a blast designing hats during STEM time to wear in the parade on Friday. It is amazing what kids can do with a little imagination! 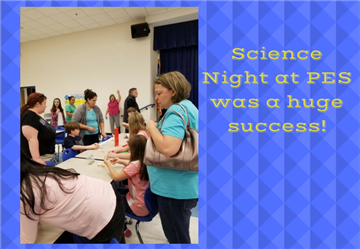 Science Night a Huge Success! 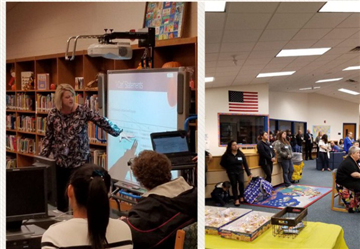 Mrs. Bridgers along with students from her science classes showcased some cool science activities following PTA on Thursday Night. 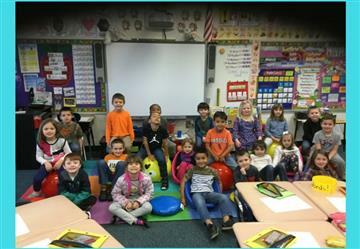 Congratulations to Mrs. Sullivan's class for getting their Donor's Choose project funded. They have several new Flexible Seating items added to their classroom. 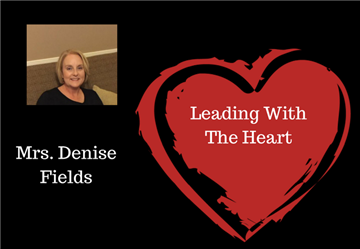 Mrs. Denise Fields, our Leading with the Heart recipient, truly has a servant's heart. 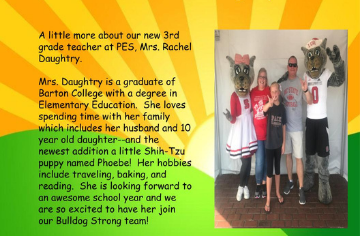 She works hard at our school to make a difference in the community and to connect PES with the community. She has been teaching for 25 years and is such an important part of our school. 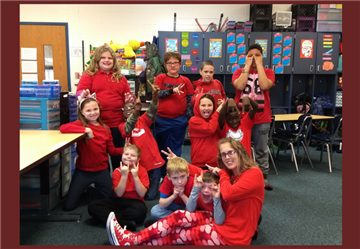 Students and staff wore red today in recognition of National Wear Red Day on January 2nd. 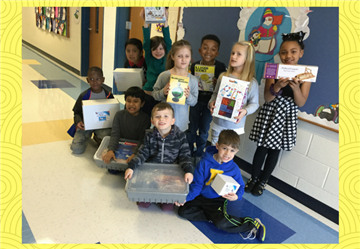 Mrs. Bullock's first grade class was very excited to open the packages that arrived today from Educational Innovations from their Bright Ideas Grant STEM Grant. They received a K'Nex Bridge Building Kit, Weather Barometer, Catapult, Scooterbots, 3-2-1 Blast Off and Brackitz. This is part of the materials their classroom is receiving to work towards a JoCo 20/20 classroom. 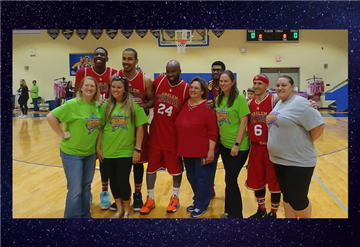 On Thursday night in the Deacon Jones Gym at Princeton High School the Bulldogs Stars played a fast paced and fun filled game against the Harlem Wizards. 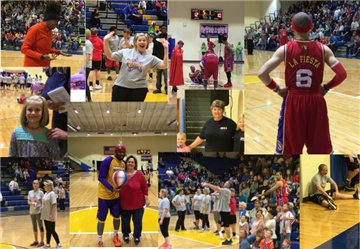 The night included student interaction and lots of crowd pleasing trick hoops and alley oops from the Wizards. Thank you to all who came out and supported PES and PHS! 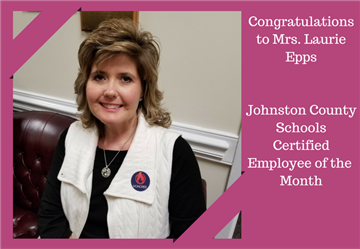 Mrs. Epps, a first grade teacher at Princeton Elementary School, is the JCPS Certified Employee of the Month. Mrs. Epps has been teaching 1st grade for over 20 years. She is Grade Chair for first grade and she is a very loving teacher. She has a wonderful relationship with her team members. Congratulations from all of your coworkers! David Bunch, Chief Operating Officer of E.J. Pope & Son, presented a check to Princeton Elementary Principal Mrs. Rhonda Ward and Princeton Middle/High School Principal Jarvis Ellis. The Handy Mart has a gas pump covered in Bulldog colors. 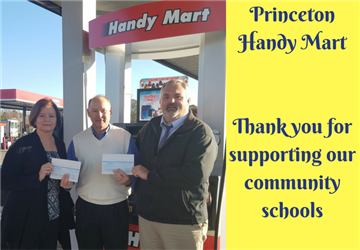 Part of the funds received from the pump go back into community schools. The 1st grade students at PES gathered together to sing Christmas songs to honor the memory of one of our past teachers, Mrs. Edith Creech. For years, Mrs. Creech played the piano the week before Christmas break for all first graders. The PES 2nd grade students performed a Christmas musical Thursday night. They made a grand entrance in their holiday colors and did a wonderful job. A special thanks to Mrs. Price for her hard work and the 2nd grade teachers. 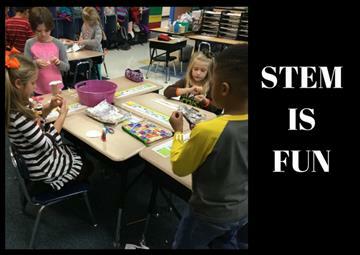 The students in this first grade class are using STEM materials to design the Mayflower ship. They tested the ship by loading Penny Pilgrims onto it to see how many it could hold before it filled with water. 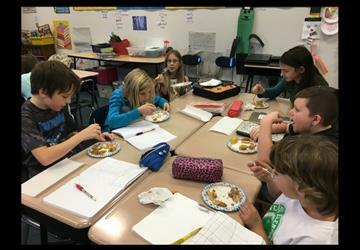 Students in Mrs. Gamble's 4th grade class tasted some samples of pies. After choosing their favorite pie, they wrote persuasive writing to support their pie choice as the best. One our of first grade teachers, Mrs. Bullock, won a Bright Ideas Grant for "Stem is Worth Exploring". 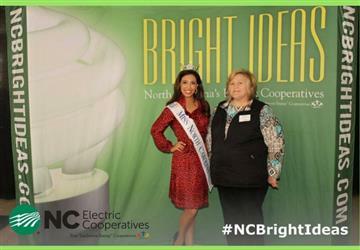 She was recognized at a luncheon in Raleigh on November 17th at the Garden on Millbrook. Over 200 grant recipients attended the celebration. 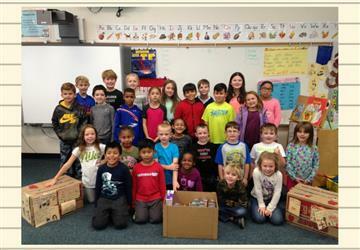 Several 3rd grade classes and 1st grade classes worked together to collect and fill 10 boxes with food donated by their families and wrote notes of encouragement to place in the boxes for families at Thanksgiving. 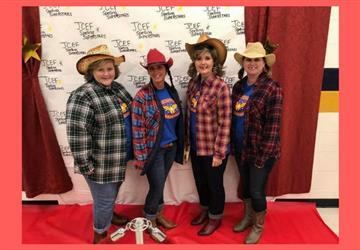 First grade teachers dressed in their best "redneck" gear as they spelled their way into the 4th round of the JCEF spelling bee on Thursday night. They showed up to the red carpet in style with cowbells in hand and some stylish cowgirl hats. Buster the Bus made a visit to Princeton Elementary School. 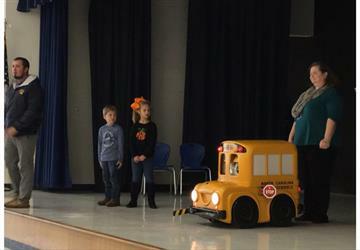 Students were able to help Buster show the adults how to correctly load and unload a bus. We are proud of the teachers at PES! Ms. Rogerson, a 2nd grade teacher, will be working with the Town of Kenly as a representative. 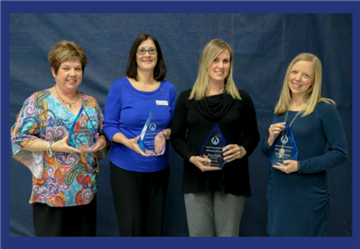 The Greater Smithfield-Selma Area Chamber of Commerce honored a wonderful group of teachers for their dedication to JCPS. Among the group was one of our teachers, Audra Morrison.